Music is all about timing for me. Sometimes I find an album and I like it enough, so I buy it and then I don't really delve into it. Maybe it's not the right timing. But recently, I started making playlists of music that I hadn't really given enough time, and needed to re-discover. A couple of the albums even made my honorable mention list because I really like a few of the songs. First, Katie Herzig's most recent release, Apple Tree, which I recommended here. It's interesting to me that I can listen to an album in it's entirety one time and have a favorite and then when I revisit the album a few months later, find a completely new favorite. It is a testament to my ever- evolving music loving brain. My current favorite: Wish You Well, which I am madly in love with and which will be featured on my upcoming February playlist. is cause you showed it how." Duffy's Rockferry first caught my attention because of the hit single "Mercy." It's a very catchy tune...I dare you to listen and not start singing along. But after a deeper listen, there are some real gems on this album. My current favorite: Delayed Devotion. I love the very retro feel of this song and her voice...it's so unique. The entire album is a worthy effort. I instantly loved this album, but after listening to it more, a new favorite has emerged. "Don't Let Me Fall". Really the entire album is an easy listen, and pretty great. I discovered this artist recently from Pandora (I love that site) and the moment I heard her gorgeous voice, I was sure she would become a favorite. She is Israel born, but spent much of her childhood in France. She sings in English and French but this album from 2003 is mostly in English. I love the whole thing. The English parts and the French parts. My favorite in English: "Not Going Anywhere". My favorite in French: "Jardin d'hiver" which translated means "Secret Garden." This new album hasn't actually released (next week it drops) but thanks to this link, you can listen to the whole darn thing. Which is the greatest thing since sliced bread. Being able to listen to an entire album before buying is such a treat. I can fall in love with it before even putting a penny down. And fall in love with it I have. 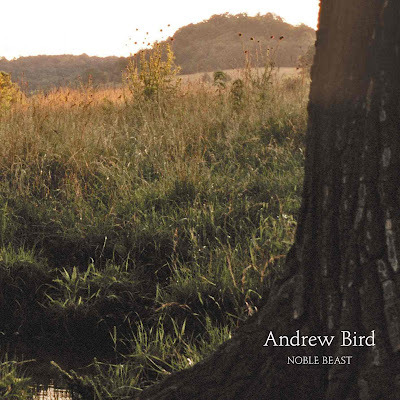 I've mentioned Andrew Bird before, and this new album is going to be on high rotation on my iPod. His albums are full of orchestration and hand clapping and even, get this...whistling. I really love him. How can you not? ***Please let me know if the imeem links work for you or not...I've never linked to them directly and I'm not sure if it will work for you if you don't have an imeem account. I'm curious.